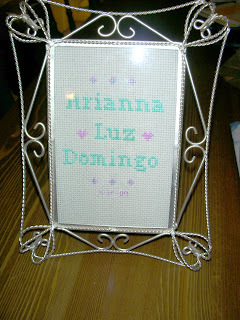 My friend at work had a granddaughter and wanted me to make a cross stitch for the baby. So here it is! I hope they like it.